We’d love your help. Let us know what’s wrong with this preview of The Last Lecture by Randy Pausch. A lot of professors give talks titled 'The Last Lecture'. Professors are asked to consider their demise and to ruminate on what matters most to them: What wisdom would we impart to the world if we knew it was our last chance? If we had to vanish tomorrow, what would we want as our legacy? When Randy Pausch, a computer science professor at Carnegie Mellon, was asked to give A lot of professors give talks titled 'The Last Lecture'. Professors are asked to consider their demise and to ruminate on what matters most to them: What wisdom would we impart to the world if we knew it was our last chance? If we had to vanish tomorrow, what would we want as our legacy? When Randy Pausch, a computer science professor at Carnegie Mellon, was asked to give such a lecture, he didn't have to imagine it as his last, since he had recently been diagnosed with terminal cancer. But the lecture he gave, 'Really Achieving Your Childhood Dreams', wasn't about dying. It was about the importance of overcoming obstacles, of enabling the dreams of others, of seizing every moment (because time is all you have and you may find one day that you have less than you think). It was a summation of everything Randy had come to believe. It was about living. To ask other readers questions about The Last Lecture, please sign up. How long Mr. Pausch lived? he was one of a kind! He was the kind of person what we need! What makes a man bare his soul in such profound openness and candor? I was intimately and moved to my core. I sat down to write my review of “The Last Lecture” on Friday July 25th. Before I started to write, I decided to check Randy Pausch's website for any updates on his condition. He had died that morning at the age of 47. The book, and the lecture itself, now take on new meaning. For those who aren't aware, Randy Pausch was a computer science professor at Carnegie Mellon University. The university has a tradition of inviting professors to give a lecture where they pretend that it is their last chanc I sat down to write my review of “The Last Lecture” on Friday July 25th. Before I started to write, I decided to check Randy Pausch's website for any updates on his condition. He had died that morning at the age of 47. The book, and the lecture itself, now take on new meaning. For those who aren't aware, Randy Pausch was a computer science professor at Carnegie Mellon University. The university has a tradition of inviting professors to give a lecture where they pretend that it is their last chance ever to talk to their students. What would you say? What wisdom would you impart? What are your lessons in life? For Randy, this was not a hypothetical question. Barely a minute into the lecture he introduced “the elephant in the room”: advanced pancreatic cancer that would kill him in a matter of months. With this revelation out of the way, he gave a talk about achieving your childhood dreams and enabling the dreams of others. The lecture was so full of optimism, clarity, hope, humour, and sincerity that the YouTube video went viral and a few months later it was published as a book. “The Last Lecture” contains everything that Randy covered in the lecture, plus some other anecdotes and pearls of wisdom from his life and experience. Like the lecture, the book is earnest and straightforward. Randy tells a story then gives us the moral in case we missed it. He fills his stories with humour, occasionally laugh out loud. What comes across most strongly is his deep love for his wife and children who he knew he would be leaving behind. It's hard to read this book and not have a good impression of the author. He seems like a great guy, someone that you would love to have as a mentor or friend. I think this is reason that the lecture was such a success; his personality makes a watcher puts more stock in his words. This still comes across in the book, although not as strongly as in the lecture. In fact, without seeing him on video and hearing him speak the words, reading the book can almost get a bit tiring. I recall thinking on a number of occasions: “Ok, we know that you're a really smart guy who works really hard and never gives up, you don't need to keep telling me”. Some of the advice in the book, especially that which goes beyond what he said in the lecture, can be a bit tough to swallow. For example, his advice to always carry 200$ in cash in your wallet; does he think that only the upper middle class are going to read this book? Similarly, he often speaks of the great mentors, friends, and supporters that he has had through his life; not everyone goes to a university where the professors have such extensive connections to facilitate their student's careers. Finally, his advice to never give up (“Brick walls are not there to keep us out, they are there so we can show how much we want something”) sometimes comes across as as sense of entitlement. He never says to expect something for nothing, but does imply that anything you want to achieve is possible if only you work hard enough at it. Advice like this sometimes crosses the line into sappiness and glurge. Fortunately these moments are fairly rare, and as long as you don't read the book in a single sitting (which is quite possible) then you probably won't feel too overwhelmed. My review of this book will not be popular, but I must be honest. I'm halfway through this book, and although I appreciate a positive voice, it's really not that interesting or helpful. If I could sum up this book in three words, they would be "yay for me". The author tells us how great his childhood was, then that he accomplished all his childhood dreams, got the girl of his dreams...etc etc etc. It's really not a book how to better your own life, as much as it him telling us how great his life My review of this book will not be popular, but I must be honest. I'm halfway through this book, and although I appreciate a positive voice, it's really not that interesting or helpful. If I could sum up this book in three words, they would be "yay for me". The author tells us how great his childhood was, then that he accomplished all his childhood dreams, got the girl of his dreams...etc etc etc. It's really not a book how to better your own life, as much as it him telling us how great his life has been. Yes I realize it was born from a lecture, but maybe every life, achievement, and event in this world doesn't necessarily need a book to be made about them. what wisdom would you impart to the world if you knew it was your last chance? if you were gone tomorrow, what would you want to be your legacy? carnegie mellon university is known for its last lecture series, in which professors are invited to give a talk where they consider their demise and ruminate on what matters most to them, essentially answering those very questions. 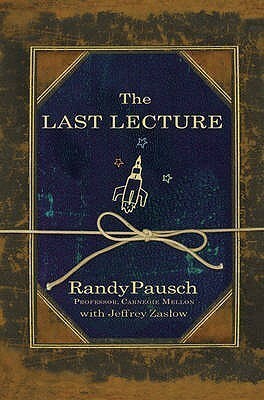 randy pausch was one of those professors and this book was his last lecture. i have found it rather difficult to critique a d what wisdom would you impart to the world if you knew it was your last chance? if you were gone tomorrow, what would you want to be your legacy? i have found it rather difficult to critique a dying mans thoughts and words to his wife and children. because of the nature of this book, i cant review this how i normally would with a novel. so i am only left with the option of sharing how i felt after i closed the final page. i will admit, i have never given much thought about dying. but more regretfully, i have never given much thought about living. in most aspects, i am content. im healthy, i have a loving family, i received a wonderful education, i can provide for myself, i have travelled, i have hobbies that make me happy. what more is there to life? i could be kinder. i could be more grateful. i could complain a little less. i could be more patient. i could reach out more to others. i could be more curious. i could set more goals for myself. i could be more optimistic. there is nothing wrong with contentment, but there is also nothing wrong with seeing how we can better improve ourselves. we are all works in progress and we should continually strive to be the best possible versions of ourselves, living a life that inspires us daily. randy pausch had months to live when he spoke/wrote similar thoughts about what it means to live life. i dont want to wait until the end of my life to realise i never focused on the importance of really living. i need to start today. you know how to pick great books, john! While this man has a 5-star attitude, I can only give the book two. Five star attitude... the author gets diagnosed with terminal cancer. He refers to this as "an engineering problem" (understated and true) has 3-6 months to live, tops. Has 3 small children (ages 6 and under)who will never know him. he was scheduled to give a "last lecture", ya know, how to live your life as if you were dying... (irony) and he writes it in such a way that it's a celebra While this man has a 5-star attitude, I can only give the book two. No doubt Randy Pausch was a nice guy. But this book is smarmy, self-indulgent crap--which is ok given the circumstances under which he gave this lecture. But it is not worth reading. This is typical 1980's individualistic, unreflective advise on how to succeed in life. Alas, Professor Pausch does not realize that he was born white, male, middle income, in exactly the time in the 20th century where he could avoid confronting WWI, WWII, the depression, Korea, Vietnam, urban riots of the 1960's, the No doubt Randy Pausch was a nice guy. But this book is smarmy, self-indulgent crap--which is ok given the circumstances under which he gave this lecture. But it is not worth reading. This is typical 1980's individualistic, unreflective advise on how to succeed in life. Alas, Professor Pausch does not realize that he was born white, male, middle income, in exactly the time in the 20th century where he could avoid confronting WWI, WWII, the depression, Korea, Vietnam, urban riots of the 1960's, the civil right movement,and the women's movement because he was too young. And he got to miss all of the problems of Bush 1 and Bush 2 in the middle east because he was too old and affluent. So he has the privilege and lack of social awareness to totally ignore the entire social context that provided and constructed his wonderful, if unfortunately short, life. Thus he leaves out the advise that was most important to his success. Have the pre-natel intelligence to be born male at the right time, in the right place, to parents who are racially privileged citizens of a superpower in ascendance during a brief window of peace at a time of expanding educational opportunity for middle-income working people in an expanding economy. Then these individualistic platitudes, if you are also very, very fortunate, may possibly help--but then again, they may not. This is a father's love letter to his family. It is beyond beautiful. The Last Lecture is Randy Pausch's last hurrah- a final note to the world and his family about how to live, love and let go. It is beautiful. I think that we're all here for a reason and have stories to tell. How fortunate for us all that Randy had the time and ability to tell his particular story. I recommend this book for fans of memoirs, computer engineering and heart-felt narratives. I listened to the audiobook and it was excellent. Then, once I finished the book, I looked up Randy's actual las The Last Lecture is Randy Pausch's last hurrah- a final note to the world and his family about how to live, love and let go. It is beautiful. The Last Lecture, literally, for a professor with a terminal illness. Taken from a speech that he wanted to impart to his students, family, friends, - really everyone as he came to grips with his condition. This is about as emotionally charged and spiritually powerful as you may expect, the author is exploring territory that we all face, but he was at the edge of existence when he put this together. Randy Pausch was diagnosed with pancreatic cancer and had months to live, from this perspective he The Last Lecture, literally, for a professor with a terminal illness. Taken from a speech that he wanted to impart to his students, family, friends, - really everyone as he came to grips with his condition. This is about as emotionally charged and spiritually powerful as you may expect, the author is exploring territory that we all face, but he was at the edge of existence when he put this together. Randy Pausch was diagnosed with pancreatic cancer and had months to live, from this perspective he shares with us what is most important. Read it, discuss it, share it. I think this was one of those books where knowing the criticisms before starting it ultimately upped my enjoyment factor. 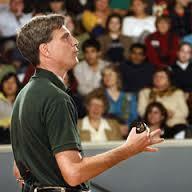 Randy Pausch, the author, was one of those people who became wildly popular in 2008 thanks to the internet. He was a popular professor at Carnegie Mellon and was invited to give a “last lecture”, a tradition of sorts where a professor is urged to give a specially prepared lecture as though it were the last s/he were to ever give. And so they are encouraged to break down all t I think this was one of those books where knowing the criticisms before starting it ultimately upped my enjoyment factor. Randy Pausch, the author, was one of those people who became wildly popular in 2008 thanks to the internet. He was a popular professor at Carnegie Mellon and was invited to give a “last lecture”, a tradition of sorts where a professor is urged to give a specially prepared lecture as though it were the last s/he were to ever give. And so they are encouraged to break down all the knowledge learned in their lives and during their careers into one hour-long presentation and say, “this is the best of what I know, here you go.” But for Randy Pausch, his Last Lecture became somewhat of a sensation because shortly before he was scheduled to give his presentation, he learned that he had late-stage pancreatic cancer and he only had 3-6 months left to live. Given his shortened life span at the time of publication, I can understand why the book felt so rushed. There are some chapters that are little more than a couple paragraphs with a random anecdote that doesn’t really have anything to do with anything. And many of the longer ones appear to be run-ons. About halfway through the book I realized that each chapter of this book reminded me of a blog entry. Then I realized that that may be some of the appeal to this generation, because as a piece of literature, this book is just…well…no. This book came highly recommended to me by my sister and my mom who love it. My mother-in-law has read this book and also loves it. And at the time I write this review, 8,197 4-star and 5-star reviews on GR and there are fewer than 500 ratings that are 2 stars or less, so Pausch’s story has clearly touched the lives of a lot of people. Since discovering this site, I almost always scan some of the top-vote-getting reviews before starting a book. Whether someone loved it or hated it, I’m always curious to know why. And in the case of this book, since there were so many glowing reviews, I found myself focusing on the negative ones if only because they appeared to be in the minority and the minority has always intrigued me. --what did this guy do so differently that he actually deserved a book? So going into the book expecting these faults, I found myself focusing on what is probably the most important thing about this book: Randy Pausch (who isn’t alive anymore) had three children under the age of five who may not remember that once upon a time, he was their father who loved them very much. And realizing that this year, next year, five, 10, 15, 45 years from now, his children will still have a record of who he was and what he stood for (whether I agree with all of it or not) is an unbelievably beautiful thing. My husband was a teenager when his mother died unexpectedly and years later, we still have items in our home that belonged to her: a set of water-color paintings she’d had since college, a hand-written recipe on a post-it note, a baby book full of hand-written notes and stories and photographs. Having that connection to the past is a tangible reminder not only of what was lost, but of where we come from. And losing a parent before their time makes that connection even more powerful. And so I can’t help but feel glad and happy for Randy Pausch’s children because they will grow up knowing that their dad’s life inspired so many millions of people. I hope that will be a tremendous source of pride for them. They can’t have their dad, but the legacy he left them was the best he had to offer in the short amount of time he was given to work with. I was first "introduced" to Mr. Pausch while watching the Oprah show in the fall. My father in law was in the hospital at the time, fighting melanoma that had metastacized to his lungs. Simply stated, I stopped folding clothes and cried so hard during that show. Soon after, the emails began to circulate with links to the last lecture on utube and I watched every link I got and cried even more. I read all the internet articles and was touched every time. When I saw the book was coming out, I jump I was first "introduced" to Mr. Pausch while watching the Oprah show in the fall. My father in law was in the hospital at the time, fighting melanoma that had metastacized to his lungs. Simply stated, I stopped folding clothes and cried so hard during that show. Soon after, the emails began to circulate with links to the last lecture on utube and I watched every link I got and cried even more. I read all the internet articles and was touched every time. When I saw the book was coming out, I jumped on board and knew I had to read it. I never knew how emotional this book would be for me. The day (August 15, 2007) Randy Pausch got the devistating news that his cancer had spread and there was nothing the doctors could do anymore, is the same day that we arrived at MD Anderson with my father in law, knowing things were not right. I came across this in the book and had to put it down for days. This was just hitting too close to home for me. I finally was able to pick it back up and continue. This book and Mr. Pausch's stories are so touching and true that we can all find something in there that will help us want to be a better person. We can all find some bit of wisdom that can be carried into our lives. I cried so many times reading this, but I laughed several times too! Anyone who has had their life touched by cancer will benefit from the optimism Mr. Pausch has, but it will be a very difficult read just because of the seriousness of the issues at hand. Just the sheer optimism in such a negative world is very uplifting. Pg. 51- "The brick walls are there for a reason. They're not there to keep us out. The brink walls are there to give us a chance to how how badly we want something." Mr. Pausch refers to the brick walls so many times, but it is so true! pg.111- "Time is all you have. And you may find one day that you have less than you think." This has been a major realization in my life this past year. We thought we had so much time with my father in law. And we lost him so quickly. Take the time to do the things you want and never put them off. pg. 119- "Luck is indeed where preparation meets opportunity." This goes back to my old Girl Scout motto "Be prepared." pg.148- "Experience is what you get when you didn't get what you wanted." Glad to know I've gotten something! And now it makes sense. pg.156- "A lot of people want a shortcut. I find the best shortcut is the long way, which is basically two words: work hard." Wow! If we could all stop taking the shortcuts and work a little harder, could imagine what might happen?!?! THIS BOOK BLEW ME AWAY!!! Yeah I really won't be able to give a coherent review. Suffice to say that this is human beings at their best. You might not agree with all of Randy's lessons, but he tells you from the get go that this is what he thinks and he did it all for his kids. Towards the end I cried because there really isn't another word to describe the whole thing but genuine. The book was published when he was still alive, but I read it when he had already passed away so it was even more hear THIS BOOK BLEW ME AWAY!!! Yeah I really won't be able to give a coherent review. Towards the end I cried because there really isn't another word to describe the whole thing but genuine. The book was published when he was still alive, but I read it when he had already passed away so it was even more heartbreaking. I am writing this review with barely 4 hours to go before 2013. I picked this book up to inspire me to face another year. I learned about this book when I took our company-mandated safety leadership training last month. Our corporate safety manager talked highly of this as he related Randy Pausch's very personal experience with what one person's ultimate objective in life, i.e., what should really matter to each of us in the training room. For those who are not familiar with this 2008 bestselling I am writing this review with barely 4 hours to go before 2013. I picked this book up to inspire me to face another year. I learned about this book when I took our company-mandated safety leadership training last month. Our corporate safety manager talked highly of this as he related Randy Pausch's very personal experience with what one person's ultimate objective in life, i.e., what should really matter to each of us in the training room. For those who are not familiar with this 2008 bestselling book, Randy Pausch (1960-2008) was an American computer science professor who died of pancreatic cancer at the age of 47. At the time of his death, he left his three small children aged 6, 4 and 1. He learned about his condition in Sept 2006 so he was able to use his last 22 months to prepare. The highlight of this preparation was his last lecture delivered in the university where he used to teach, Carnegie Mellon University in Pittsburg, Pennsylvania. That last lecture is basically what this book is all about. The book is divided into 6 parts: (1) the last lecture; (2) his six childhood dreams that he basically achieved prior to his lecture; (3) various anecdotes that taught him life lessons; (4) how he inspired others to achieve their dreams; (5) his list of advices for better living and (6) his final messages to his family - 3 kids and wife Jai. Overall, the book had that inspiring effect on me but it was far from mind-blowing. I think I've read too many similarly situated characters in both fiction and non-fiction works that I found Pausch's situation less heart-wrenching. Fact: people die everyday and Pausch's condition was a lot better than the people who had to die here in the Philippines. Why Pausch was even able to buy a brand new house and lot for the family he was leaving behind few month's before his eventual death. Very few of us in a third-world country would be able to do that. So, this is not to criticize Pausch and his better life situations were not his fault, it's just that I found it harder to empathize with him. There are a lot of worse situations around here in our country. His writing is also less moving that those written by non-writers during the last years of their lives. I even found the memoir The Time of My Life (3 stars) jointly written by Patrick Swayze (1952-2009) and his wife Lisa Niemi detailing Swayze's fight against the same kind of cancer more engaging and interesting. For one, The Last Lecture at times seems too self-absorbed as Pausch talks about himself, himself, himself. This only stopped in Part 4 but very briefly. I am not judging Pausch but looks like he was telling the truth that he was self-centered and took highly of himself, e.g., finishing other people's sentences, when he was still young and healthy. That's why that part where he was supposed to tell how he was able to inspire others was short and somewhat less affecting. I thought that it would have been better if Pausch hired a seasoned writer to assist him in writing the book. The idea of the book was a surefire hit but he sounded mostly preachy and self-absorbed. His better life situations than most of us have alienating instead of engaging effect at least for me. If I could leave those luxuries to my family and achieve that celebrity status, I would have been happy to trade places with Pausch and die with smile on my face anytime. (2) Never make a decision until you have to. (3) Even if in a position of strength, whether at work or in relationships, you have to play fair. Just because you're in a driver's seat, doesn't mean you have to run people over. (4) Parents should make their love known to their children. They don't need to be alive to do this. (5) If your car has a dent, you don't have to have it removed. It could be a statement of who you are. Not everything needs to be fixed. (6) Don't finish someone's sentences. And talking louder or faster doesn't make your idea any better. (7) If you wait long enough, people will surprise and impress you. (8) Not what they do, not what they say. (9) Whether you think you can or can't, you're right. (10) A lot of people want a shortcut. I find the best shortcut is the long way, which is basically two words: work hard. C) How do I make this better? If there is one lesson that I consider the best advice I got from Randy Pausch, this should be it: (12) If I could give three words of advice, they would be "tell the truth." If I got three more words, I'd add: "All the time." لا أقول أن " راندي بوتش " قد أحسن الوصف أجمل من باولو كويلو في " فيرونيكا تقرر الموت " لكنه كتب لا كروائي " كحال باولو " بل كحال إنسان يعيش الواقع .. في لحظاته الأخيرة ! حين قرأت وصية بقراءة كتاب المحاضرة الأخيرة .. بادرت للشراء لثقتي بذوق من وصاني باقتنائه .. والحق أنني وجدته أجمل مما توقعت بمراحل ! راندي بوتش .. إنسان يعيش أيامه الأخيرة وهو محاضر جامعي في جامعة كارنيجي ميلون أصيب بمرض سرطان البنكرياس وأخبر أنه لن يعيش أكثر من ستة أشهر بالكثير .. دُعي لإلقاء محاضرة " أخيرة " وأعد لها كما لم يعد ل لا أقول أن " راندي بوتش " قد أحسن الوصف أجمل من باولو كويلو في " فيرونيكا تقرر الموت " لكنه كتب لا كروائي " كحال باولو " بل كحال إنسان يعيش الواقع .. في لحظاته الأخيرة ! راندي بوتش .. إنسان يعيش أيامه الأخيرة وهو محاضر جامعي في جامعة كارنيجي ميلون أصيب بمرض سرطان البنكرياس وأخبر أنه لن يعيش أكثر من ستة أشهر بالكثير .. دُعي لإلقاء محاضرة " أخيرة " وأعد لها كما لم يعد لمحاضرة قبلها ولن يعد لمحاضرة بعدها ! محاضرة راندي بوتش .. شكلت ظاهرة في أمريكا كون الرجل لم يجعلها كما يتوقعه الكثير مليئة بالحزن والكآبة واستجلاب الدموع ومفعمة بالمواعظ والتذكر .. بل جعل المحاضرة تنبض بالمرح والذكاء والفطنة وكيف كان يتعامل وفق منهجية جعلت منه رجلاً يحقق أحلام الطفولة بكل يسر وسهولة ! الكتاب يقع في الحجم الوسط .. أعطيه أعلى مما يمكن تصوره من الدرجات .. فيه الكثير من النقاط التي تلفت الذاكرة وتحيي في المشاعر التفاؤل .. شخصية راندي أثرت بكل من عرفها وكل من قرأ له بعد ذلك ! قرأت في الكتاب أو فيما بين السطور .. رسالة راندي لأبنائه الصغار الذين لن يروا أباهم بعد أن يكبر ! كان راندي يشعر أن الرسالة الأخيرة .. لابد أن تختصر حياة كاملة .. لابد أن تضع فيها عصارة فكرك وأن تربي أبنائك من بعدك ليروا بنور كنتَ تحلم أن تنيره لهم في حياتك .. أن يدرسوا من كلماتك تجاربك ويتعلموا من تصرفاتك وآرائك طموحك وأحلامك .. راندي كان يقول : الناجحون هم الذين يحققون أحلام الطفولة .. يقول ذلك ويسرد قصص طويلة كانت أشبه بأحلام الطفولة وكيف كان يحققها ويسترد هذا الحلم بعد كل نجاح يحققه ! تعامله البسيط .. سحرني وأذهلني بحق .. ولا أخفيكم أنني ضحكت كثيراً وأنا أقرأ عن أمره لأبناء أخته بسكب الصودا على المقعد الخلفي من سيارته الجديدة .. فقط ليزيل الأثر النفسي الكبير عنهم بسبب " خناق " وزجر أمهم الدائم للحذر من سكب أي شيء على مقاعد السيارة ! واحد وستون فصلاً .. تقرأ في كل فصل شخصية مرحة ظريفة قريبة " صريحة " .. يصرح راندي أنه كان متغطرساً ومغروراً ويأتي بحكم والده العميقة .. وكيف كانت لحظات والده الأخيرة ..
كما يأتي بقصص مختلفة عن بداياته مع زوجته وكيف اختلفا وكيف وقعت في نفسه .. ثم تزوجا وفي آخر يوم " وهو يوم ميلادها " أبى إلا أن يجعل الاحتفال بعيد الميلاد في داخل المحاضرة ! ومن أجمل ما قرأت في كتابه .. قصص مساعدته لنجاح الآخرين ! فهو ليس ناجح في ذاته فحسب .. بل كان المفتاح لنجاح الكثير ممن درسوا عنده في الجامعة في فتح آفاق واسعة أمام أعينهم وتوجيههم وفق ما يرى .. بنظرة ثاقبة ورؤية عميقة ..
شخصية راندي شخصية مغامرة من الطراز الأول .. وأراه يتقين مقولة " إن لم تغامر فأنت لم تعش بعد ! " فهو يرى في المغامرة نوعاً من صناعة " الأكشن " في الحياة .. ولا يخفي حبه الدائم لألعاب المغامرة في ديزني ! بطفولة وبراءة .. يعلن راندي بوتش حبه للدببة الكبار ! ولا يخفي اقتناؤه للكثير منها .. ورغم أن الموت يهد جسده ويلعب بخلاياه لكن راندي لم يتوقف عن بناء البيت والجلوس أطول وقت مع أبنائه حتى يعوض عنهم الفقد الذي سيكون بعد وفاته .. راندي كان يعدّ لمحاضرته الأخيرة وكان يسقط مرة ويقف مرات .. وفي كل مرة يضحك ويبتسم للحياة كونه يشعر أن الحياة وإن كانت قصيرة فصبغك لها صبغة كئيبة ستجعلك أقصر عمراً ! راندي بوتش .. ظاهرة تستحق الدراسة .. وكما ذكر المترجم " إن هذا الكتاب ستتناقله الأجيال القادمة جيلاً بعد جيل " حيث يشكل نقلة نوعية في سرد رؤية الإنسان " الناجح " للحياة وبنظرة أخيرة ..! أصعب شيء في الدنيا .. حين تطلب من إنسان ناجح أن يقول لك كيف نجح في حياته ..
أو تطلب من إنسان متفوق .. كيف السبيل إلى التفوق ! أصدقكم القول .. حزنت وأنا أقرأ أن راندي بوتش قد خسر معركته مع سرطان البنكرياس في 25 يوليو عام 2008 م .. لكني أجزم أن شخصاً كمثله يكفيه فخراً في الحياة وبعد الممات أنه كتب كتاباً سيبقى فريداً من نوعه لسنين طويلة .. بل وربما لن يؤلف مثله بعد ذلك ..
رندی پاوش با خودش میگه خیلی ناراحت کننده هست که نمی تونم پیش بچه هام باشم و در زنگی هدایتشون کنم، به همین خاطر مطالب آخرین سخنرانیش رو طوری تهیه می کنه که مجموعه کاملی باشه از درس ها و اصول زندگی که خودش یاد گرفته و در موفقیتش تاثیر به سزایی داشته. جای شکایت کردن و ناله کردن، به فکر راه حل باشید و تلاش کنید. زمان و انرژی محدود است، آن را با ناله و شکایت هدر ندهید. این یکی از درس هایی هست که من بارها مصداقش رو دیدم، آدما همیشه از چیزی که دوست دارن باشن حرف می زنن نه چیزی که واقعا هستن. حقیقت شخصیت آدم ها رو از اعمالشون بفهمید نه گفتارشون. I couldn't bring myself to finish this book. Perhaps the author's buildup to the ultimate last lecture raised my expectations too high, but I found myself working hard to try to maintain interest as I plowed through a series of anecdotes and trite observations. I suspect I would have enjoyed the book more if he had simply written about his work at the university, but I did not feel a connection to the author, despite his obvious courage in the face of a terminal illness. I suppose a reader can't I couldn't bring myself to finish this book. Perhaps the author's buildup to the ultimate last lecture raised my expectations too high, but I found myself working hard to try to maintain interest as I plowed through a series of anecdotes and trite observations. I suspect I would have enjoyed the book more if he had simply written about his work at the university, but I did not feel a connection to the author, despite his obvious courage in the face of a terminal illness. I read this because I am doing continuing coverage on the author, a Carnegie Mellon University professor who is dying of pancreatic cancer and who gave a last lecture that has been viewed on the Web by more than 6 million folks. For what it is -- essentially an expanded version of the lecture about his life story and his advice on how to live a fulfilling life which can all be read in a sitting -- it is very good. It's highly readable, in part because of Randy's own communication savvy and personality, but also undoubtedly because of the crafting it got from Wall Street Journal columnist Jeffrey Zaslow. Most of the things I highlighted were items I didn't already know from the lecture, but in any case, here are just a couple tidbits. As a professor, Randy would put his students in teams and everyone would give feedback to the other team members on how well they were doing, particularly in their ability to work well with the group. He recalled one student who, when told he was in the bottom quartile on the feedbacks, was sure that he was near the top of the quartile, which meant he really wasn't that far from being 50-50 on people skills. That's when Randy said the kid was at the very bottom. This answer shocked the student, but Randy said "I used to be just like you. I admit it. I'm a recovering jerk. And that's what gives me the moral authority to tell you that you can be a recovering jerk, too." In a segment on the importance of hand-writing thank you notes, this otherwise completely high-tech guy recalled one instance where an applicant to his master's program in entertainment technology didn't quite have the grades or accomplishments to make it in, until he found a thank you note she had written, not to any of the program leaders, but to a support person who had helped her make arrangements for an on-campus visit. It turned the tide for her. "She came to the Entertainment Technology Center, got her master's degree and is now a Disney Imagineer," he said, which is his idea of the ideal job. It's not all homilies and advice. When describing the strength and love of his wife, Jai, who will be left to raise their three preschool-age children, he talked about how his cancer diagnosis had given him the time to have vital, open conversations with her that wouldn't have been possible if he had died suddenly. He talked about how well she was coping and how she was doing it without the attention and even adulation he has been receiving. And then he revealed that when he gave his last lecture and surprised her with a birthday cake, and she came on stage to kiss and hold him, what she whispered in his ear was: "Please don't die." That made the book as real and powerful to me as anything else. I am at the same place as Randy, wanted to read this book and learn. Didn't want to miss something. Glad my boys are all grown up and I'm 75. Love reading, but medications making me not to connect, read parts of the story again and again. But as to find some relief in these last days from his lecture didn't happen. It may be that I am particularly sensitive to certain topics, but I didn't enjoy this book. I realize that the author is trying to cram all that he has found to be important in life in 200 pages, which is automatically going to make it seem preachy. Maybe it's that I didn't like what he was preaching. He spent too much time encouraging people to scale brick walls on the paths to their dreams. Then he started describing other people as brick walls and he lost me. Sometimes no means no, and bounda It may be that I am particularly sensitive to certain topics, but I didn't enjoy this book. I realize that the author is trying to cram all that he has found to be important in life in 200 pages, which is automatically going to make it seem preachy. Maybe it's that I didn't like what he was preaching. He spent too much time encouraging people to scale brick walls on the paths to their dreams. Then he started describing other people as brick walls and he lost me. Sometimes no means no, and boundaries have to be respected. I'm not sure that calling the admissions office at the college one wants to attend but didn't get into every day until they finally say ok, we'll take you is a good plan, or much of a claim to fame. Wearing others down until they give in is not overcoming obstacles in your path; at best, it's jumping the line and at worst it's blatantly disrespectful. Since the author did not mention choosing battles wisely, I'm left to assume that this is his behavior all the time. I have the kind of imagination that makes me extrapolate out the idea of overcoming brick walls; if everyone thought no meant try harder, the chaos would be incredible. This book grew out of the desperation of a computer professor, when he discovered that he had terminal cancer, and he wanted absolutely to leave a manual of guidance for his little kids. It's this fact about this book that drew me, because, in terms of parental guidance, I haven't been one of the lucky ones. I was surprised by the vividness and vivacity of the writing. The pages kept turning as if by themselves, and I was disappointed that the book ran out so soon. Authentic and practical wisdoms This book grew out of the desperation of a computer professor, when he discovered that he had terminal cancer, and he wanted absolutely to leave a manual of guidance for his little kids. It's this fact about this book that drew me, because, in terms of parental guidance, I haven't been one of the lucky ones. Authentic and practical wisdoms that come not from the brain but from the heart of a devoted father. How I wish I had one book like this when I was growing up. A perfect example of how a man on death trip becomes immortal through the keenness of his soul. An extraordinary book. How can a man dying from pancreatic cancer be so upbeat and write such useful advice? Read on!! Randy Pausch was a professor at Carnegie Mellon in Pittsburgh, PA. His areas of expertise were computer science and virtual reality. He worked for Disney as an Imagineer. In that capacity he was responsible for designing and building Disney theme parks, resorts, cruise ships, and other entertainment venues at all levels of project development. From Will Schwalbe's book, The End of An extraordinary book. How can a man dying from pancreatic cancer be so upbeat and write such useful advice? Read on!! (His story began) with an article by the Wall Street Journal staff writer Jeffrey Zaslow about Pausch, who’d been asked by his university, Carnegie Mellon, to deliver what used to be called a “Last Lecture,” the idea being that you would speak about the things you would speak about if you were giving the last lecture you would ever give. The irony in the case of Randy Pausch was that he knew that it would, indeed, be that—and he used the speech to impart lessons he’d learned, not just for the people listening, but for an audience that was extremely important to him: his young children. That speech was videotaped and went viral on YouTube. Randy spoke and he pored his heart out for over an hour. I challenge the reader of this review to read the passages I have highlighted from his book. I hope you are as impressed as I am. I enjoyed watching his last lecture, which was extremely touching, but reading this book was even more touching. I actually teared up numerous times while reading it. As far as I'm concerned, this guy is a hero. He was happy, and yet he achieved so much. He was diagnosed with cancer, and instead of just letting it put him down, it was a motive for him to leave this last lecture, a lasting legacy. I do recommend that everyone read this book. I will probably burn in hell--well, okay, suffer a few extra millenia in purgatory, maybe--for only giving this book two stars. It's one of the top gift books of 2008, if you didn't yet view "The Last Lecture" on YouTube you probably heard about it via Oprah or friends or co-workers: a talented computer science prof at Carnegie Mellon with three adorable little toddlers and a loving wife learns he has pancreatic cancer and about six months to live, so he gives a farewell lecture to his students, I will probably burn in hell--well, okay, suffer a few extra millenia in purgatory, maybe--for only giving this book two stars. It's one of the top gift books of 2008, if you didn't yet view "The Last Lecture" on YouTube you probably heard about it via Oprah or friends or co-workers: a talented computer science prof at Carnegie Mellon with three adorable little toddlers and a loving wife learns he has pancreatic cancer and about six months to live, so he gives a farewell lecture to his students, his university, and the world, to give us some life guidance before he passes away. He's a smart man with a beautiful family and a great job. And now he must deal with death--the Grim Reaper we must all ultimately confront. But he chooses to be upbeat, and empowering, using positive energy to help us all be better folks. Why then do I not like this book?? There's something about the way he does it that strikes me as being knowingly and calculated self-focused on his part, even while he claims he is trying to only reach and help others. I know I should cut him some slack--my God, the man was dying, he is dead now as I write!--but the whole set up of the lecture, and then the book that reworks a lot of the lecture, is to make us feel incredible pity even as he tells us not to. He tells us in the beginning of the lecture it won't be about his wife and kids and how much he loves them--but of course that's exactly where he ends, so we are totally consumed in sympathy and crying our eyes out at the end (if we have any compassion at all). As a cathartic reading for families and caregivers dealing with terminal illness, this book could probably be an effective salve, but as a homily of wisdom for the ages (or common sense to live by, take your pick as it works as both) this book offers many of the same platitudes one would find in any wise sermon or self-help essay. A lot of these pearls of wisdom are offered here, again and again, within a framework of "see how great I was" or "see how great my family was" or "see how successful I have always been." He does share that in college he was thought of by many as a self-centered jerk, that some had acccused him of the sin of arrogance. I suspect that as much as he tries to adopt the voice of an Everyman and claim we could and should all adopt his maxims of wisdom, I see some of that old arrogance that he probably still retains as he tells anecdote after anecdote where he turns out the star. This review has been hidden because it contains spoilers. To view it, click here. WOW!! This book is right up my alley in my latest/favorite reads or movies watched; Animal, Plant, Vegetable (Barbara Kingslover), Into The Wild (movie), and now The Last Lecture. The book is about Randy Pausch, also the author, who is diagnosed with terminal cancer and has 3-6 months to live. With that information, he decides to take part in writing a Last Lecture for Carnegie Mellon, where he is a professor. After much thought, he decides to write about "living". About what he is leaving his 3 v WOW!! The book is about Randy Pausch, also the author, who is diagnosed with terminal cancer and has 3-6 months to live. With that information, he decides to take part in writing a Last Lecture for Carnegie Mellon, where he is a professor. After much thought, he decides to write about "living". About what he is leaving his 3 very young children and his wife. About how he lived his life and fulfilled his childhood dreams. About what matters most to him and how influences have shaped who he is. And of course, what he can leave his family for the future without him. It's a reminder to all parents, young and old, that you never really know when your time is up. That you cannot take for granted each and every day. To cherish your family, your friends, your children, and your wife/husband. It's a reminder about dreams no matter how big or small can be achieved if you truly believe in your self. It's a reminder to us all to be "who we really are" and let all else fade away. It's a reminder that all brick walls can be scaled. It's a reminder of many things in our lives - it's Life's Little Lesson Book and I will keep this one handy because there are things that reminded me that I need to do...starting now! "so many will get the chance to say goodbye,BUT It's never too late to think of the value of your life " Randy was trying to tell us that , and he did it in a great way ! It was more than a lecture ! and it's not fair to write a review about this great work .. Actually it was an every day's lecture .. I was completely in , I cried with him and laughed with him, I was amazed by his courage, faith and pride , I liked how he decided to help his wife in raising the kids after his death . he was a gre "so many will get the chance to say goodbye,BUT It's never too late to think of the value of your life " Randy was trying to tell us that , and he did it in a great way !
" I was trying to put my self in a bottle that would one day wash up on the beach of my children . If I were a painter, I would have painted for them , But I'm a lecturer , so I lectured "
I do agree that he was arrogant in some way or other , but I got the most beautiful life lessons ever . The part of his childhood is the one I loved the most , it reminded me of mine ! and I was the one to break the rules in every possible way ! The Last Lecture is a brilliant memoir of a life experiences of a Computer Science Professor breathing the near to death moments. Randy Pausch, diagnosed with rarely dangerous pancreatic cancer in the early phase of life recounts the occurred before life events translating into pretty pieces of advices. He is asked to deliver the Last Lecture in the form of a speech to the students and faculty audience ready to hear what the successful person has to speak about. The book divided into six section The Last Lecture is a brilliant memoir of a life experiences of a Computer Science Professor breathing the near to death moments. Randy Pausch, diagnosed with rarely dangerous pancreatic cancer in the early phase of life recounts the occurred before life events translating into pretty pieces of advices. He is asked to deliver the Last Lecture in the form of a speech to the students and faculty audience ready to hear what the successful person has to speak about. The book divided into six sections encompasses tiny chapters speaking clear volume of Randy's loving wife and three children. It is a poignant detail of the person waiting to die and how he manages to live a happy life despite the deadly disease making sound of death. All in all it radiates the factfulness of how to lead satisfying life when death is so close in your pockets. As the chapters move this piece of advices takes up the turn to a phenomenal self-help book. And inside the core of the book is in store whole lot of good pearls of wisdom he encounters with his students friends. The experiences he makes with them bond special and stand testimony to ever required successful life altogether. It also emphasises heavily in chasing the dreams one dreamt and here being getting into the premiere company of high reputation. The hard-hitting point being getting into the dream job of landing into the prestigious firm of Disney where he's asked to do the Imagineering work. This job being quite close to his heart as it breathes love to him. لأكون صريحة لم أتوقع أن يأثر فيَّ هذا الكتاب جداً ، ربما لأنني أظن أني متفائلة كفاية لأرى الجانب الممتلئ من الكأس لكن هذا الكتاب اخترق سقف توقعاتي ، قد لا تعنينا جميعاً أحلام راندي ولكن قوته وتفائله وعطاءه وثقته بنفسه وتحديه للمرض بتفائله الواقعي وتقبله للواقع هي مايدعونا لنندهش كيف لشخص مثله أن يختصر حياته بين دفتّي كتاب ومحاضرة لا تتجاوز الساعة ، كيف له أن يلقي الكلمة الأخيرة لكل من أثر بحياته وشاركه الطريق ويودعهم بامتنان ، بكيت في الصفحات الموجهة لأبناءه وزوجته لأنه كان صادقاً جداً ولم يكن ي لأكون صريحة لم أتوقع أن يأثر فيَّ هذا الكتاب جداً ، ربما لأنني أظن أني متفائلة كفاية لأرى الجانب الممتلئ من الكأس لكن هذا الكتاب اخترق سقف توقعاتي ، قد لا تعنينا جميعاً أحلام راندي ولكن قوته وتفائله وعطاءه وثقته بنفسه وتحديه للمرض بتفائله الواقعي وتقبله للواقع هي مايدعونا لنندهش كيف لشخص مثله أن يختصر حياته بين دفتّي كتاب ومحاضرة لا تتجاوز الساعة ، كيف له أن يلقي الكلمة الأخيرة لكل من أثر بحياته وشاركه الطريق ويودعهم بامتنان ، بكيت في الصفحات الموجهة لأبناءه وزوجته لأنه كان صادقاً جداً ولم يكن يستجدي عاطفة أحد أبداً فهو زوج وأب محبّ جداً لأسرته الصغيرة ، الكتاب عبارة عن رحلة حياة بما فيها من أخطاء وإنجازات صغيرة وكبيرة ، لا أراه محظوظاً بقدر ما أوافقه حين قال أن الحظ يعني أن تأتي فرصة ما وتستغلها جيّداً كما فعل هو وحياته لم تكن جميلة بالمطلق فهو يختصر لك مشوار عمر بأن يتركك مع أهم الأحداث التي مرّت به والتي ستعني لك حتماً حين تستمر بين صفحات كتابه. "تا وقتی در آخرین سخنرانی ام روی صحنه می رفتم هرگز به دانشجویانم و یا همکارانم در کارنگی ملون نگفته بودم که درخواست پذیرشم را در آنجا رد کرده بودند. از چه بیم داشتم؟از این که همه شان فکر کنند آنقدر باهوش نیستم که در کنار آنها قرار بگیرم؟ که مرا آن قدرها جدی نگیرند؟ رازهایی که در آخر زندگی تصمیم به افشایشان میگیرید خیلی جالبند. باید این داستان را سال ها بازگو می کردم زیرا نکته ی اخلاقی اش این است: اگر به شدت خواهان چیزی هستید، هرگز تسلیم نشوید." A little bit cocky, irritating and smug but an easy read. Quite possibly overhyped. I kind of felt like he presented his life lessons as if they were grand revelations, unheard of and earth shattering ... but I found myself struggling to see the sense in some of them. Keep $200 in my wallet? With the frequency that I lose my purse and my inability to even keep a $200 float in my bank account ... not likely to happen. Besides, he didn't really follow through with the whole childhood dreams thing. A little bit cocky, irritating and smug but an easy read. Quite possibly overhyped. Besides, he didn't really follow through with the whole childhood dreams thing. I mean, he bragged here and there about his achievements but I wanted him to to talk me into moving to France, writing children's novels and owning a labrador. They were my goals when I was 4. Randy Pausch was a Professor of Computer Science, Human-Computer Interaction, and Design at Carnegie Mellon University (CMU) in Pittsburgh, Pennsylvania, United States and a best-selling author, who achieved worldwide fame for his "The Last Lecture" speech on September 18, 2007 at Carnegie Mellon University. In August 2006, Pausch was diagnosed with pancreatic cancer. He pursued a very aggressive cancer treatment that included Whipple procedure surgery and experimental chemotherapy; however, in August 2007, he was told the cancer had metastasized to his liver and spleen, which meant it was terminal. He then started palliative chemotherapy, intended to extend his life as long as possible. At that time, doctors estimated he would remain healthy for another three to six months. On May 2, 2008, a PET scan showed that his cancer had spread to his lungs, some lymph nodes in his chest and that he had some metastases in his peritoneum and retroperitoneum. On June 26, 2008, Pausch indicated that he was considering stopping further chemotherapy because of the potential adverse side effects. He was, however, considering some immuno-therapy-based approaches. On July 24, 2008, on behalf of Pausch, his friend (anonymous) posted a message on Pausch's webpage indicating cancer progression further than what was expected from recent PET scans and Pausch becoming more sick than ever. It was announced that his family had sent him into a hospice program — palliative care to those at the end of life.